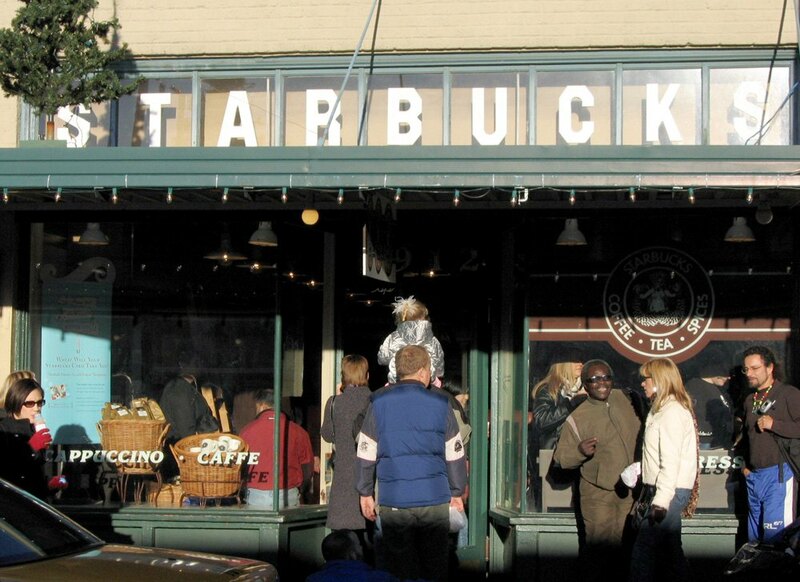 "Original Starbucks" by Postdlf from w. Licensed under CC BY-SA 3.0 via Wikimedia Commons. Could it be that Ridgewood is over before it even began? Ridgewood Social has been speculating this morning about Starbucks potentially opening a location off the Myrtle-Wyckoff L and M train stops in Ridgewood. A tipster sent Ridgewood Social a note that Planet Fitness located on 329 Wyckoff Ave is "renting out a portion of their space and it’s being converted into the Seattle based coffee company. The construction/remodeling is well under way and I confirmed it with the manager of the Planet Fitness," the tipster wrote. While there are several Seattle-based coffee companies, probably only one huge franchise would be interested in the heavy foot traffic and partnership with another big franchise, Planet Fitness. It is necessary to add that Ridgewood is no virgin to national chain stores. Dunkin Donuts has in fact been a neighbor to Ridgewood's Planet Fitness for a couple of years now, and a further stroll on Ridgewood section of Myrtle Ave reveals several other chain stores: Payless Shoes, Carvel Ice Cream or Duane Reade pharmacy. And while there are plenty of high school kids who will for sure be buying those sugary frappuccinos, the rest of us has a choice to keep supporting great independently owned Ridgewood coffee shops such as Fairweather, Norma's, Milk & Pull or Cypress Inn. Ridgewood Social also suggested that concerned residents attend an upcoming Community Board 5 meeting to voice their opinions. "We are committed to being a good neighbor in Ridgewood and to having an open dialogue with the community," said a Starbucks spokeswoman, who noted the new shop is expected to open later this year.